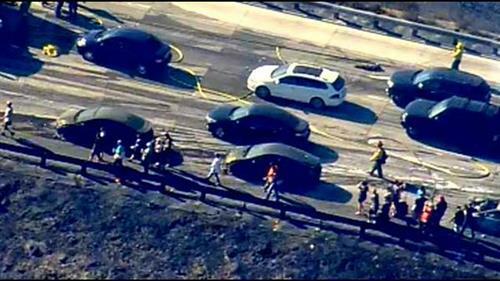 A wildfire swept across a Southern California freeway and burned several vehicles. 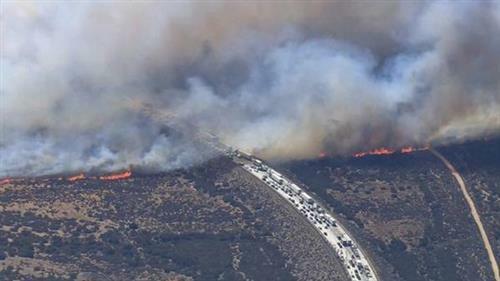 Watching coverage of the #NorthFire on the news and OMG!! Prayers out to all those on the road to and from Vegas right now ???? Be safe!! 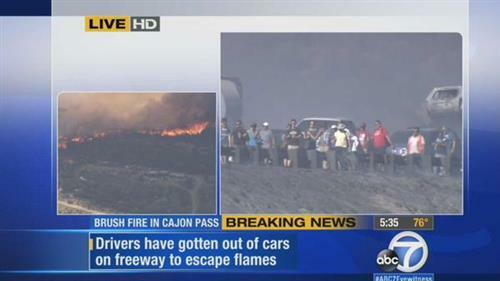 "@MyNewsLA : #NorthFire torches cars, shuts I-15 at El Cajon Pass. 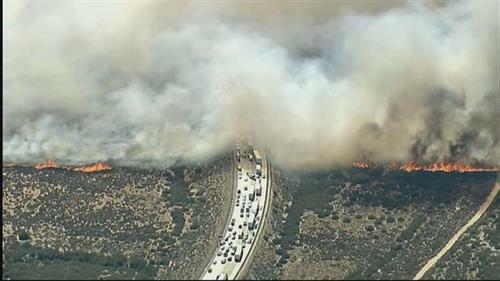 mynewsla.com/life/2015/07/1… http://pbs.twimg.com/media/CKJ3r5GUMAEo2dD.jpg"
Whos going to The Voyage this weekend with the #northfire going on ? @dadalife ???? Wow #NorthFire shut down I-15 probably minutes after I passed it. Feeling very lucky. #NorthFire anyone out there on #Periscope . What's the situation like? "KLLM lost a truck: @JimDalrympleII : Here's the moment the burning semi truck burst into a fire ball. 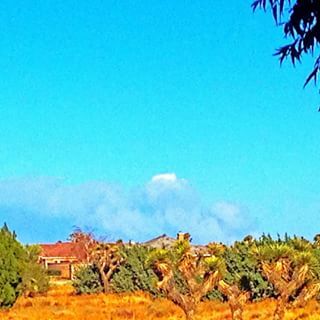 #NorthFire vine.co/v/erxZMa530ME"